Planned Parenthood has announced they are canceling abortions in Arkansas. OBGYNs in the state do not want to do business with Planned Parenthood, and the courts have decided not to force them to do it. So, this situation has resulted in Planned Parenthood telling women they cannot commit abortions under the law. Women are no doubt wondering what to do and where to go. I would suggest that, if you are reading this and you were turned away from an abortion appointment you had, this happened for a reason. Days before, things would have been different, but THIS is the day you walked through those doors. And THIS is the day you had to turn around and walk right back out them. Right now, it probably seems confusing and overwhelming. You might be scared or even mad. But I would suggest that you find support to embrace this unexpected change. Sometimes, the things that seem worst in life at the moment turn out to be the greatest gifts. Your child — and yes, you are already a mother — needs you, quite simply. Your child entered the Planned Parenthood clinic with you, beneath your heart. And instead of leaving with her life compromised, she left with you, still alive. Her heart is still beating even now. And I suggest there is a reason for this. Choose hope. That’s what Dorothy Osborne did. You may have read about her in the news. If not, please do. Where others would see no way, she forged one. Where others would lose hope, she clung to faith. Where others would fall apart, she stood up tall. She went forward in life, with her son, embracing him while earning her college degree and becoming a nurse. Her son is now a Dallas Cowboy, with a college degree of his own. Dorothy’s story is amazing, but there’s no doubt it was extremely hard at first. Hard is not always bad. So if you are still pregnant in Arkansas and feeling alone, if you are still seeking an abortion, would you consider another path? Resources are available to you (including an ultrasound, like the one McKenzie got) and there are people standing by right now to help you find them. Pregnancy care centers and maternity homes: You can find one by visiting OptionLine.org or by texting “Helpline” to 313131. If you visit OptionLine.org, a live chat option will pop up right away for you — if you want that.You can chat anonymously. Stand Up Girl also provides resources and connections for pregnant girls and women through live chat, email, and texting options. If your browser is set to show your location, pregnancy care centers in your area will easily and automatically be listed for you. OptionLine and Stand Up Girl provide great help, but you can also comment on this post, and I will write back as soon as possible to personally help you find pregnancy care in your area. 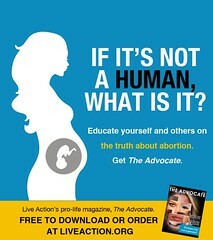 First, is abortion what you really want? 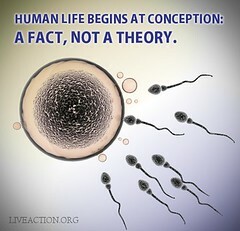 You can find out the facts by clicking that abortion link in the last sentence. They are available from an OBGYN who personally committed over 1200 abortions before his own child died, and he realized he was killing the children of other parents. Below, he explains what medication abortion — the abortion pill — really does to a developing child. There are risks to the mother, too. The risk of hemorrhage is quite significant with the abortion pill — up to 20% of women experience it. Other forms of abortion are not less violent. Finally, learn the truth about what a little human your child already is. Did you know these 12 amazing facts about the first trimester? Too often, places like Planned Parenthood fail to provide the full information to women. I know they failed my sister-in-law. I don’t want them to fail you, too. You sought an abortion. It didn’t work out. There’s a reason for that. P.S. If you have taken the abortion pill or started a medication abortion, THERE IS STILL HOPE. Abortion reversal is a safe, emerging area of medical science. Hundreds of babies have been born completely healthy after their moms chose abortion reversal. 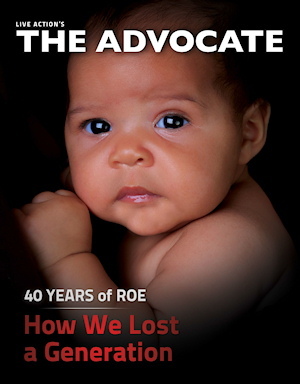 You can check out the facts on abortion reversal here. You can also call the 24-hour, nurse-staffed hotline for abortion reversal at 1-877-558-0333. While it’s hard cold winter in most parts of the U.S. these days, I can’t quite let go of autumn. While some see autumn as the season of death, I see it as the season that reminds us new life is always coming. And when we think of abortion and life and choices, let us remember to reject death; to let a choice for death fall away from us, rejected. Let us embrace new life in all its wonder and worry and anticipation. Let us wait eagerly and patiently for its arrival, knowing that when new life comes, it is always, always a gift that we will never regret accepting with open arms. For years, I have treasured the verse, that reads, “Behold, I make all things new.” And in the changing seasons of life – be they beautiful or just plain ugly – I want to hold this verse close to my heart. I want to be willing to let my choices, my preferences, and my desires – when they add up to selfishness – fall away. Come, Lord Jesus. Make all things new. From the article: “Popular photoblog Humans of New York recently shared two true stories about people who chose life instead of abortion. Facebook users responded in droves, with over one million likes and more than 29,500 shares between the two stories. Via Live Action News — Note: This article is for any girl or woman who is feeling pressured into having an abortion. If you are a guy who is trying to find out how to stop an abortion, please see this article written for dads. You may also want to read 10 reasons not to have an abortion. If you ever need to be reminded why you don’t want an abortion, read real stories from real women who have had abortions. Via Live Action News — Note: If you are a father trying to stop an abortion, see this article. 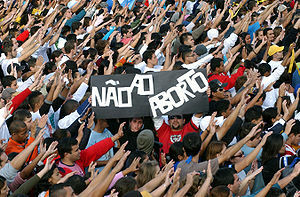 If you are a woman who is being pressured into an abortion, go here. Parenting website Mommyish recently published an article advocating ten reasons (well, actually nine) to have an abortion. In response, I wrote a piece debunking the author’s arguments. Today, I will discuss ten reasons not to have an abortion. I watched this video for the first time today. And may I say that every, single woman out there ought to see this. Specifically, if you are a mother, if you are pregnant, if you are unsure, insecure, wondering, wandering, wanting to know who you are and how or if you can go on – watch this. If you find yourself in an unplanned pregnancy, know that you are part of a community of those who can. You are part of a steady stream of women – and even girls – who have gone before you, who have done this. 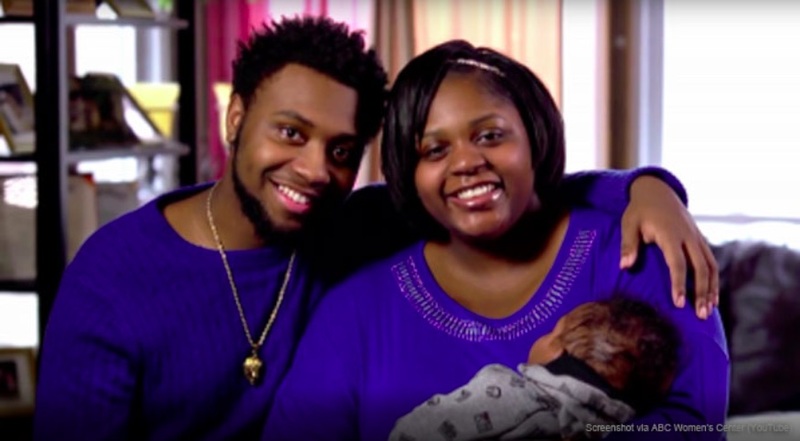 One of the most famous women with an “unplanned pregnancy” is mentioned in this video. And her Son made history. Women need to be told these things. We are women. We are strong. We are capable. We are ready. We are able. We are all these things for ourselves and for our children. And, in fact, we were created that way; we were this way in our mothers’ wombs. Why? How can this be? It has all been made possible for us by One Who gave His life that we might live. On the cross, Christ won every battle that ever had been and was ever to be waged. The battles are already over, and they’ve been won. We must only choose to accept Him and the victories He has won on our behalf. Because of Him, you can do this. I can do this. We can all do this. And when we feel weak, when we feel like it’s too much to go on, let us choose to reach out to the people around us who have been given strength for our moment. Of course, call upon Jesus, and He will be there. But also, also, call out for the help of the people He has created. If you are in an unplanned pregnancy, a difficult pregnancy, or suffering after an abortion, call those numbers and get the help you need. Help is within reach. You are not alone, and you are awesome. Abortion is many, many things. It is the source of harm for countless women, men, and families. It is the cause of death for millions of innocent children. I was helping the doctor hold the baby [to keep it in the birth canal]. The other nurse got the instrument [a large syringe with a large needle], handed it to the doctor, and he inserted it into the base of the skull. Then he pulled the baby out. Its little hands were grasping. When the baby quit grasping, then he delivered it. He used the syringe to suction out the brains. It [abortion] goes against all things which are natural. It’s a termination of a life, however you look at it. – Robert Harris, abortionist, From author Magda Denes, PhD. 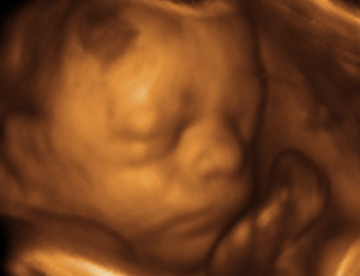 “In Necessity and Sorrow: Life and Death Inside an Abortion Hospital”. And typically when the abortion procedure is started we typically know that the fetus is still alive because either we can feel it move as we’re making our initial grasps or if we’re using some ultrasound visualization when we actually see a heartbeat as we’re starting the procedure. – This account of D&E is part of sworn testimony given in US District Court for the Western District of Wisconsin (Madison, WI, May 27, 1999, Case No. 98-C-0305-S), by Dr. Martin Haskell, an abortionist. You can see a miniature person… as a physician… I am destroying life. Question: Can the heart of a fetus or embryo still be beating during a suction curettage abortion as the fetus or embryo comes down the cannula? Answer: For a few seconds to a minute, yes. I was finally able to remove the head and look squarely into the face of a human being…a human I had just killed. I have taken the lives of innocent babies and I have ripped them from their mother’s wombs with a powerful suction machine. – abortionist McArthur Hill, MD. Here are 10 Reasons Not to Choose Abortion, an article for men involved in abortion decisions, and one for women who feel pressured to choose abortions. Without a doubt, abortion is the greatest bloodstain on our culture. 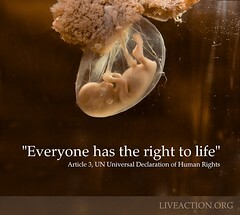 Without a doubt, it’s the main way we, as a nation, reject life. 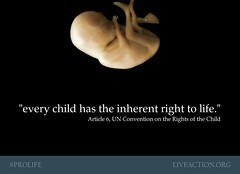 It has become much too convenient and commonplace to kill the unseen children in our wombs. No matter what, we cannot step back on our resolve to speak out for each innocent life and every family affected by abortion. Now is always a time to move forward. I’ve been thinking lately, though, that pro-lifers ought to take a bit of time to consider how we live our day to day lives. In simple, easy ways – or easily forgotten ones – do we build a culture of life? For instance, you can read my article for Live Action here that discusses how we view children when we see them at the grocery store or at church. Silly? Maybe…but’s itself something I know I had to think about. What about more serious things like driving tired? Do you know how many people get killed because another driver was asleep at the wheel? Don’t risk people’s lives like that! Pull over, stop at a friend’s house, chew gum, blare music, roll down the window – whatever it takes to not accidentally fall asleep at the wheel. Don’t take risks. Drinking a little too much before driving should go without saying. How about being an overall careful driver? (You can see I’ve been thinking about driving lately.) Instead of rushing so fast to get to the next place – even if we’re late – what about slowing down and being sure to REALLY watch the road and be extra polite to other drivers. I firmly believe these kind of easy, simple actions can help save lives. Do you have ideas on how to build a culture of life in the day-to-day things we regularly do? To stop abortion, we often need to step out of our comfort zone. But for these other things, we already do them – so why not do them right? What Can You Do For the Pro-Life Cause – What Kind of Warrior Are You?